Bar Uma is proud to present in conjunction with Echo Artist Management open mic nights every Thursday from 5pm. "Music gives a soul to the universe, wings to the mind, flight to the imagination and life to everything" - Share the magic with acoustic trio Good Vibrations. Jim Moore's mix of guitar, vocals and and harmonica is a delight - "a little bit country and a little bit rock n roll". Winner of this year's best solo original category at Battle of the Bands, and two time cast member of "We Will Rock You", self taught guitarist singer songwriter, Paris Sparks, is a true find. Brand new Perth indie and R&B duo bring fresh interpretations of organically sourced cool tunes. 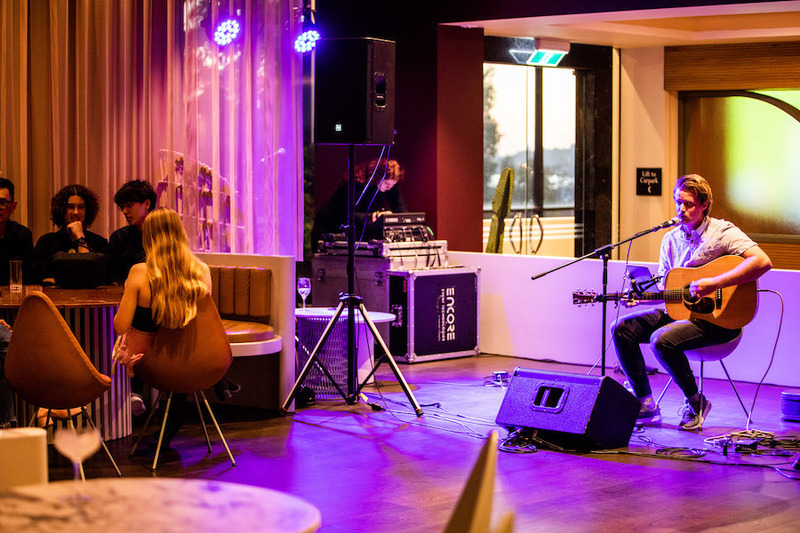 Get a group together and enjoy some amazing local acts that are new or up and coming in the Perth music scene. Enjoy $10 Pisco Sours plus food and drink specials.